Complete the lighting and decor of your Christmas tree with Kurt Adler's 10-inch 10-light burgundy and brown Santa treetop. 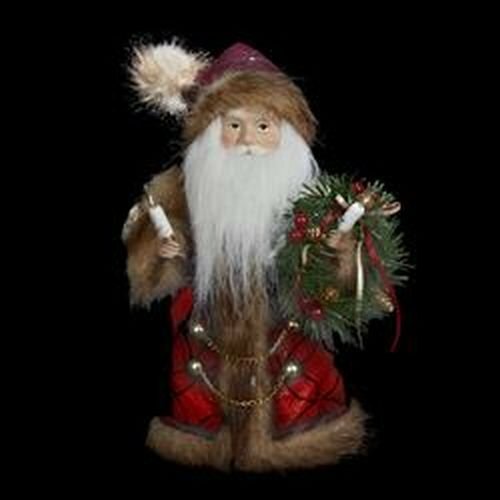 This beautiful 12" treetop featured Santa Claus in a long burgundy coat and hat trimmed in brown faux fur. He is lit from within by 10 lights for a festive glow.